Though it might not (yet) be a well-known day on the calendar, Jan. 20 is celebrated as International Cheese Lovers’ Day in some circles. And if it’s an opportunity to indulge in our love for cheese, does it really matter what the calendar says? Jamie Nadon doesn’t think so. “There seems to be about a dozen of these ‘cheese days’ a year,” he chuckled, when I told him we were approaching the holiday. Nadon is the manager of Serious Cheese, the small but mighty cheese shop nestled in Grace in the Kitchen in Kanata. Now a seasoned cheese authority, Nadon inadvertently fell into the industry. 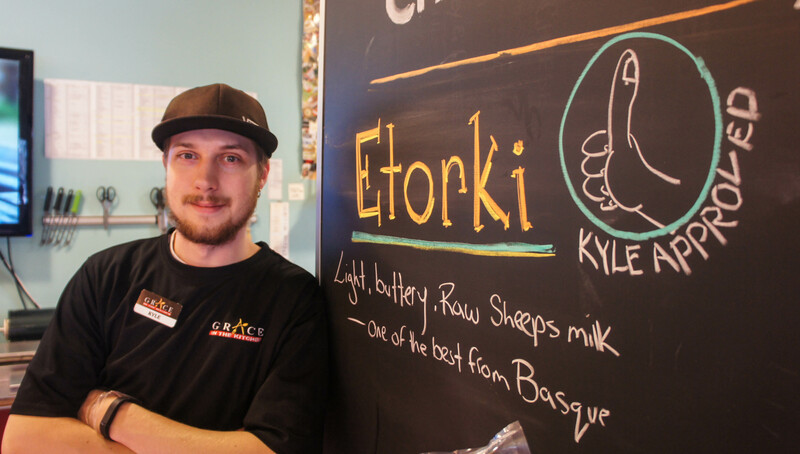 He was working on Serious Cheese’s website when the store first opened in Old Ottawa South, and on a particularly busy day he got caught helping customers at the cheese counter. He was hooked. The first time he ever kept a journal was to keep track of his cheese education. Almost a decade later, he now says the best part about a wheel of cheese is the story and culture behind it. Like wine, each cheese has features that relate to its origins and Nadon loves to travel through his cheese tasting. 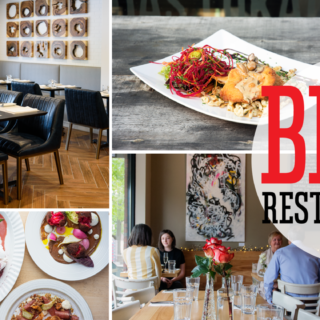 Though some customers come in knowing exactly what they want, he estimates about 80 per cent ask for guidance when they’re unsure about a bloomy brie or a bold blue — there are some seriously delicious decisions to make at Serious Cheese. 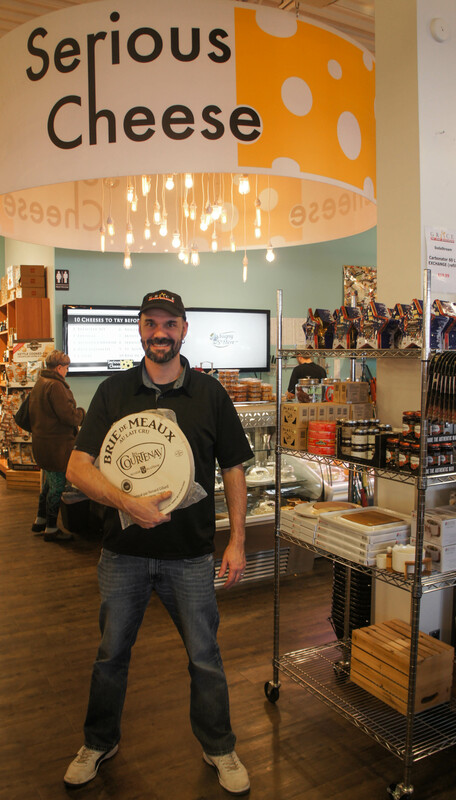 Jamie Nadon is the manager of Serious Cheese in Kanata. 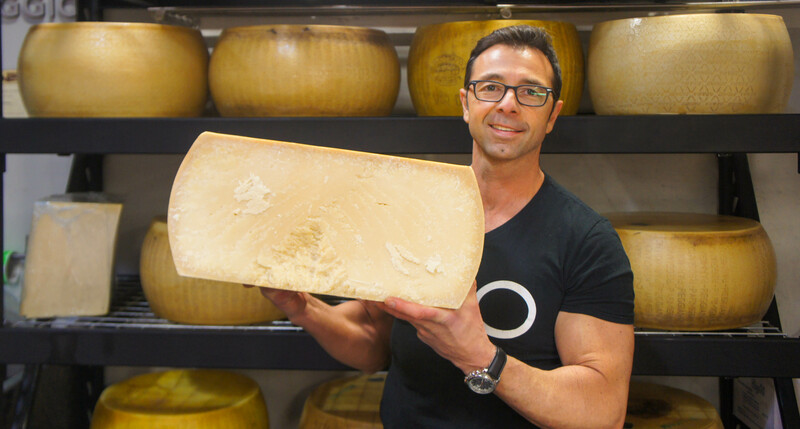 The store is inviting customers to come and try a tasty three-year-old Parmigiano-Reggiano when they crack a fresh wheel in the traditional method on Wednesday, Jan. 20. 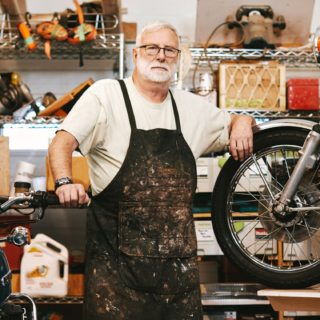 Photo by Katie Shapiro, Ottawa Magazine. Dave Neil, co-owner of Westboro’s Piggy Market, also found himself immersed in the world of cheese by chance. The cheese selection at the shop was small to begin with — Neil wasn’t necessarily focused on building a cheesehead following, he simply wanted to provide great local products. But as he learned more and more about cheese, the assortment quickly reflected his growing passion. 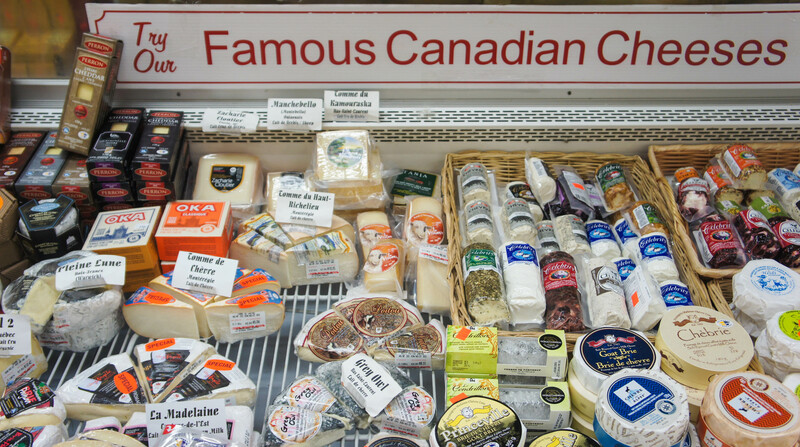 Neil admits that once he fell for cheese “it was a slippery slope.” He now goes out of his way to visit farmsteads and artisan cheesemakers in the region for great finds, and his cheese selection is a great reflection of quality Canadian products. Erin Harris, a cheesemonger known as the Cheese Poet, agrees that once she pursued her passion for cheese it became “a curiosity that needed to be fed.” She and Neil went to school together over a decade ago in Toronto, but it wasn’t until Harris visited The Piggy Market that they began to collaborate. Together they offer cheese tasting classes, guiding connoisseurs and new tasters alike from the mildest to the strongest local cheeses. 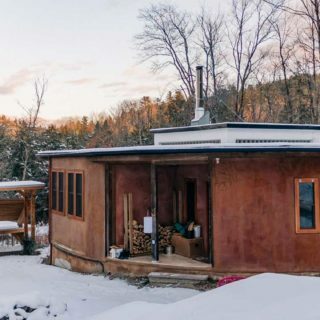 Keep an eye out for information on this year’s classes — the duo is working on incorporating beverage pairings, and Harris hopes to teach a course on the basics of home cheese making in the future. 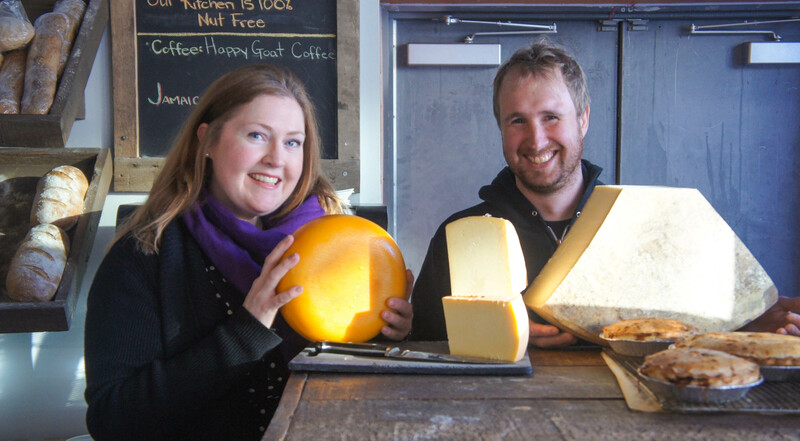 Erin Harris (known by some as the Cheese Poet) collaborates with Dave Neil of the Piggy Market in Westboro. Photo by Katie Shapiro, Ottawa Magazine. Whether you think every day should be International Cheese Lovers’ day, or you’re simply looking for a gouda excuse to have a bite, the folks at Serious Cheese have decided to mark the occasion in a tasty way: guests are invited to come taste three year old Parmigiano-Reggiano as Nadon and his colleagues crack a fresh wheel in the traditional method. The celebrations will begin at 5:30 p.m. on Wednesday, Jan. 20 — brie there for the fun. Happy International Cheese Lover’s Day! •Avonlea Cheddar: This clothbound cheddar from Prince Edward Island is what Nadon describes as an heirloom cheese. It’s a classic crowd pleaser. •Serious Truffle Brie: made in house at Serious Cheese, they take a young wheel of brie from Quebec, age it, and spread a delicious truffle paste in the middle. It’s the shop’s best seller. •Le Fleuron: a blue organic cow’s milk cheese from Les Fromagiers de la Table Ronde in Quebec’s Laurentides region. It has a melt-in-your-mouth texture to it. La Belle Mère: a firm cheese with notes of almonds and honey, this mother-in-law will win you over. Le Clandestin: named for the clandestine circulation of contraband liquor in the region during the American prohibition, this soft Québecois cheese is a slightly salty mix of cow and sheep’s milk. 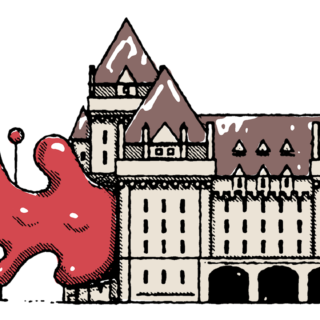 • Magie de Madawaska: an “absolute dream” with a bit of a firm centre but slight ooze around the edges—m magic indeed. • Celtic Blue: a prize winning cheese from Glengarry Fine Cheeses in Lancaster, Ontario, it’s Harris’ favourite of the local blues. •Parmigiano-Reggiano: La Bottega’s best-selling cheese, they cut a whole wheel of it daily. It’s a versatile choice that works well for grating, snacking or dessert. A bonus: apparently it is considered to be one of the healthier cheese choices for being high in protein and calcium; Italian soccer players have been known to snack on Parmigiano-Reggiano before big games. • Burrata: Described as “summer in Italy”, Burrata is only produced in Puglia, in Italy’s south. It is a fresh cheese made of mozzarella and cream. Giovanni Adama at La Bottega where Parmigiano-Reggiano is king! Photo by Katie Shapiro, Ottawa Magazine. • Aged Lankaaster: another prize winner from Glengarry Fine Cheese, it is a sharp Gouda style cheese with hints of caramel and butterscotch. • Brie aux Truffes: a rich and velvety brie with hints of fresh cream and hazelnuts, and a hit of saltiness from the truffles in the centre. From aged cheese to wagon wheels, the International Cheese and Deli shop in the Market will help you satisfy your cheese cravings. Photo by Katie Shapiro, Ottawa Magazine. •L’Attrappe Coeur: Aged four to six weeks, this soft cheese with a bloomy rind is made from pasteurized milk from Outaouais dairy farms. This Brie has a mild white mushroom aroma and a taste of fresh milk with notes of butter. Kyle Weaver helps customers at Serious Cheese. 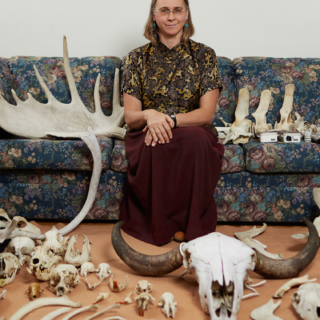 Photo by Katie Shapiro, Ottawa Magazine.